Rikiya Masuda is European Branch Director of bitFlyer, Japan’s most important — and one of the world’s largest — Bitcoin exchanges. For the CoinFest edition of Bitcoin Wednesday on 5 April, 2017, Rikiya will tell us more about the company and all that it has to offer. bitFlyer has the most trading volume in Japan, and at times also the most worldwide. Aside from their activities in Bitcoin trading, the company is developing a proprietary blockchain product called “miyabi” which has already been used in a project by the biggest megabanks in Japan: Mizuho Financial Group, Sumitomo Mitsui Banking Corporation and Mitsubishi UFJ Financial Group. Rikiya graduated from Tokyo’s Waseda University School of Political Economics in 2007. Starting in 2007 he worked for seven years in the corporate banking department of SMBC, Sumitomo Mitsui Banking Corporation and its local subsidiary in China. SMBC is Japan’s second largest bank in terms of assets and one of the country’s oldest financial institutions. 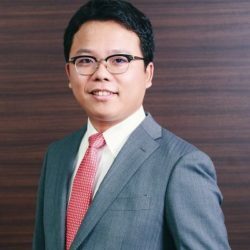 In 2015 Rikiya received his MBA from Hong Kong University of Science and Technology, and joined bitFlyer last year. Rikiya Masuda is European Branch Director of bitFlyer, currently Japan’s biggest Bitcoin exchange. Before coming to bitFlyer he worked for seven years for Japan’s second largest bank, Sumitomo Mitsui Banking Corporation.